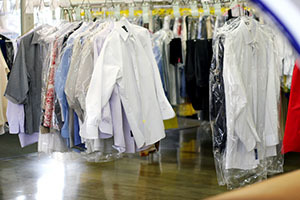 A US district court judge could face disciplinary action for alleged misconduct after he filed a whopping US$54m lawsuit back in 2005, against a dry cleaner, over a missing pair of pants. Roy L Pearson claimed the cleaners didn’t honour the “satisfaction guarantee” sign that was displayed in the window. A Superior Court judge ruled against him and the case made national headlines. According to a report by The Washington Post, a three-person committee for the DC Board on Professional Responsibility found Pearson committed two ethics violations earlier this week, of interfering with the administration of justice and presenting arguments not supported by facts or law. The committee recommended that Pearson be placed on probation from practice for two years and that he is required to tell any new clients about the case. He would not be allowed to participate in any more frivolous litigation. The recommended sanctions will be reviewed by the board and Court of Appeals, meaning the decision could take months. Pearson denied violating attorney conduct and accused the counsel of a “transparently frivolous effort to interfere with the administration of justice”. He alleged that the counsel sought to “harass or maliciously injure” him by submitting “144 paragraphs of inflammatory, prejudicial and legally unfounded alleged facts”. He will have the opportunity to respond when the board makes its recommendation of the DC Court of Appeals. The bar’s disciplinary counsel did say why it had taken so long to seek sanctions against Pearson but did say there was no excuse for the delay. “The public, the courts and the Bar deserve better,” he said.